...good thing too as I've just stocked up on a whole load of mealworms. I think I'd best clean out and refresh that water bowl tomorrow. It looks rather green, doesn't it? 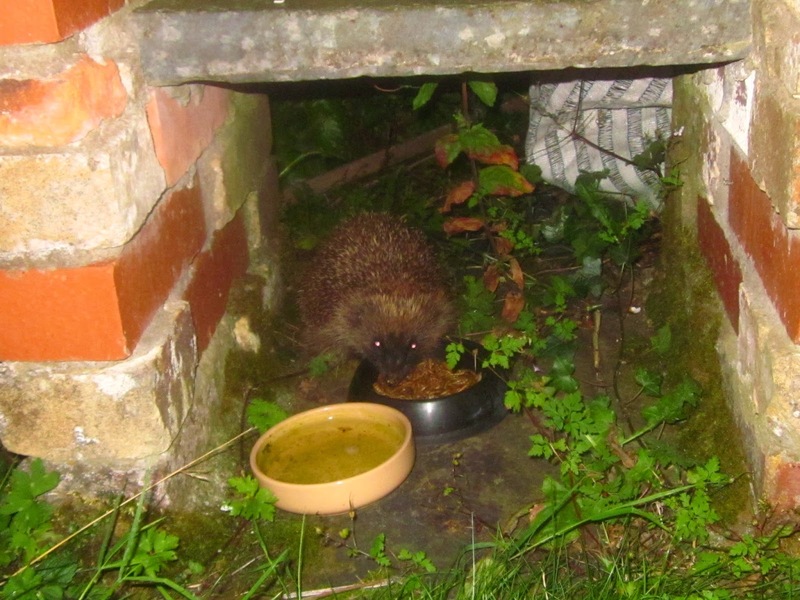 This blog was originally set up to make a record of hedgehog activity in my garden in South Oxfordshire, plus any other wild animals that crossed my path. However, I've since moved to Pembrokeshire in Wales. Luckily I have found hedgehogs here too, and I'm always on the look-out for other wildlife. A 2014 hedgehog at last! Please note that unless otherwise noted all photographs are the property of G L Wilson and cannot be used or copied without permission. The European Hedgehog - Do you care?